Syria is one of Israel’s principal military threats. Syria’s objective since the establishment of Israel in 1948 has been the destruction of the Jewish State; however, the IDF has defeated the Syrian army in every major military engagement. Syria subsequently preferred to confront Israel indirectly by supporting the Iranian-backed terrorists from Hezbollah in Lebanon. Since the civil war began in 2011, the regime of Bashar Assad has been preoccupied with survival and the main threat to Israel has been the danger of a spillover across the border. Israel was particularly concerned with the possibility of radical Islamist or Iranian forces gaining a foothold along the Golan Heights or replacing Assad. By August 2018, however, the regime no longer appeared in danger and Assad’s army, with the indispensable help of Russian and Iranian forces, recaptured the area along Israel’s northern border. While the danger has dissipated, so have the prospects for an Israeli-Syrian peace agreement. After decades of debating whether to give up some or all of the Golan Heights in exchange for peace with Syria, it is unlikely Israel will contemplate any withdrawal in the future given the possibility that the area could one day come under the control of Iran or radical Islamists. In September 2018 a senior Israeli military official stated that Israel had struck more than 200 Iranian targets in Syria during the previous two years. Since 2008, Syria has spent more than $3 billion on weapons procurement and development, up from less than $100 million in 2002. Syria also reportedly received $1 billion from Iran in late 2007 to buy surface-to-surface missiles, rockets, anti-tank missiles and anti-aircraft systems. “Iran and Syria share the same viewpoint regarding regional issues and efforts will be made to strengthen our shared interests and bilateral relations,” Syrian Defense Minister Hassan Turkmani said at the time. Infantry: 304,000 Active; 315,000 Reserve. Armor: 4,800 tanks; 5,060 APC’s. Air Force: 490 planes; 225 combat helicopters. Navy: 35 warships; 0 submarines. By the end of 2015, Israeli intelligence believed Syria had used approximately 90% of its missiles to that point in the civil war. The government still had the capability, however, to resume building missiles to replenish its supply. The Syrian military was hit with a wave of defections in the early years of the Syrian civil war, beginning in 2011. According to Israeli Defense Minister Avigdor Lieberman, as of mid-2018 the Syrian army is return[ing] to its previous (pre-civil war) proportions and beyond. As a signatory to the Nuclear Non-Proliferation Treaty, Syria is required to submit to International Atomic Energy Agency (IAEA) safeguards and inspections. Syria was known to conduct nuclear research at three facilities located at Dayr, Al Hajar and Dubaya. “In 2004, Syria continued to develop civilian nuclear capabilities, including uranium extraction technology and hot cell facilities, which may also be potentially applicable to a weapons program,” according to an IAEA report. On September 6, 2007, Israel bombed a site in northern Syria that was later revealed by the CIA as a plutonium reactor being built with the help of North Korea. The possibility that the site was related to a nuclear program was supported by the U.S. intelligence community which said the covert Pakistani supplier group headed by A.Q. Khan “offered nuclear technology and hardware to Syria.” In February 2009, the IAEA reported that samples taken from the site revealed traces of processed uranium. In February 2011, commercial satellite photos published by Washington’s Institute for Science and International Security identified another suspect nuclear installation in Syria. The photos provided evidence that Damascus may have been pursing atomic weapons prior to the 2007 Israeli strike and increased pressure for demands for a new round of expansive inspections of suspect Syrian facilities. Another IAEA report issued in May 2011, which cited both physical and photographic evidence, confirmed that the Syrian project destroyed in the Israeli air raid was a nuclear reactor intended for making material for nuclear bombs. According to Gregory Schulte, former U.S. envoy to the IAEA, Syria may be operating more nuclear sites. In November 2011, the Associated Press reported Syria’s nuclear weapons program was not confined only to the plutonium reactor destroyed by Israel in 2007. Rather, it seems that a suspect building in the northeastern town of Hasaka (about 100 miles from the destroyed reactor) was once a centrifuge plant where Syria intended to manufacture nuclear weapons. Though the building today houses a textile factory, its layout and blueprints match almost exactly with a centrifuge plant built by the Gaddafi regime in Libya. A working centrifuge plant could have produced highly enriched uranium, which would have given the Syrians an alternative means to build an atomic bomb after its plutonium reactor was destroyed by Israel. In 2005, Jane’s Defence Weekly reported that Iran was providing technical assistance to help Syria develop the means to produce VX and Sarin nerve agents and mustard gas. According to a February 2009 report by Jane’s, Syria was constructing a new chemical weapons facility in Al-Safir, the home of an existing chemical weapons production facility and a missile base with long-range Scud D ballistic missiles. As the civil war in Syria intensified, Bashar Assad began to use chemical weapons against his own population as well as rebel forces. On August 20, 2012, President Barack Obama said the use of chemical weapons would cross a red line for the United States, intimating he would order a military strike if Assad launched additional chemical weapons attacks. Obama ultimately decided not to use military force after Assad’s next attack. Instead, on September 10, 2013, the Syrian government accepted a U.S.-Russian negotiated deal to turn over “every single bit” of its chemical weapons stockpiles for destruction and declared its intention to join the Chemical Weapons Convention. The convention, signed in 1993, banned the use of chemical weapons. After signing the convention, the Organization for the Prohibition of Chemical Weapons found 1,300 tons of chemical weapons stockpiled in Syria. The United States announced on August 18, 2014, that American personnel operating on the MV Cape Ray in the Mediterranean Sea had successfully completed the neutralization and destruction of the complete known stockpile of Syria’s chemical weapons. In a statement released by the White House, Obama praised the mission saying that it was completed weeks ahead of schedule and sends a message that the use of chemical weapons will not be tolerated on the international stage. Shortly afterward, however, it was reported that Assad had continued to use chemical weapons in April 2014 after Syria signed the Chemical Weapons Convention and Obama had drawn his red line. Evidence indicated that chlorine gas was used “systematically and repeatedly” in the villages of Talmanes, Al Tamanah and Kafr Zet in Northern Syria. This heightened concern that Syria had not disclosed all its stockpiles of chemical weapons. On September 17, 2014, Syrian officials revealed three new facilities capable of producing chemical weapons such as ricin and chlorine gas. These facilities were previously undeclared. The Organization for the Prohibition of Chemical Weapons (OPCW) announced on January 31, 2015, that the destruction of the first of Syria’s twelve chemical weapons production facilities was completed, eliminating approximately 98% of Syria’s chemical weapons stockpiles. In August 2015, the U.N. Security Council approved a resolution aimed at creating a process of accountability for the use of chemical weapons in Syria. It was not until August 2016 that the UN reported that Syria used chemical weapons, specifically mustard gas, against civilians multiple between 2014 and 2016. Unchastened, Syria dropped chlorine bombs on an Aleppo neighborhood known to house opposition fighters during the first week of September 2016. At least 80 civilians were reportedly injured and videos of wheezing children being doused with water and breathing through oxygen masks were posted on social media. In January 2017, the U.S. government sanctioned 18 senior Syrian officials for their use of chemical weapons against their own people. This had no more impact on the regime than previous measures as Assad deployed sarin against civilians in the village of Al-Lataminah in March 2017. Then again, on April 4, 2017, dozens of civilians were killed in a chemical weapon attack This time the United States was not content to make statements; instead, two days later, President Donald Trump ordered missile strikes against the Syrian base from which the chemical attacks were launched. On April 20, 2017, Israeli military officials announced that they were certain Assad still had anywhere from one to three tons of chemical weapons stockpiled. This claim was buttressed the following day, when U.S. Defense Secretary James Mattis said Syria retained chemical weapons in violation of its agreement and its statement that they removed them all. A UN panel tasked with monitoring sanctions implementation against North Korea stated in September 2017 that they believe North Korea had been working with Syria to develop chemical and other weapons. A report issued by the 8-member panel confirmed that they were investigating reported prohibited chemical, ballistic missile and conventional arms cooperation between North Korea and Syria. Doctors in Syria reported four chemical weapons attacks during January 2018, including two on January 22. Medical staff treated hundreds of adults and children for exposure to chlorine gas. Another attack, killing more than 40 civilians, was reported on the town of Ghouta on April 7, 2018. The same month, the UN was forced to disband the Joint Investigative Mechanism it had created to investigate who was responsible for chemical weapons attacks in Syria because Russia vetoed the resolution to renew its mandate. Russia has used its veto 12 times to block action on Syria, including six vetoes on chemical-weapons violations. The most recent veto, on April 10, 2018, blocked a U.S. resolution condemning the gas attack on Ghouta that month. Subsequently, U.S., Britain, and France launched a joint strike against three Syrian chemical weapons facilities near Damascus on April 13, 2018. More than 100 missiles pounded the facilities, where it is believed that the Syrian military had developed and deployed chemical weapons agents. Israeli sources said the attack did not hit all of Syria’s chemical weapons facilities, however, so Assad retained the capability to use these weapons again.The United States maintained a force of 2,000 troops to Syria to fight ISIS and help American allies. After Trump declared ISIS defeated, he announced plans to pull all the troops out in December 2018. The decision upset allies and worried Israel because of the potential for Iran to fill the vacuum, for ISIS to remain (since Pentagon officials and others did not believe they were defeated) and for Turkey to attack America’s Kurdish allies. Trump hoped British and French troops would replace those pulling out; however, both countries would not commit ground troops unless the United States did as well. Officials in the administration urged Trump to change his mind, which he did in February 2009, agreeing to leave 400 troops in Syria. In November 2012, a number of mortars were fired into Israel, likely by accident, but they triggered an Israeli response that demonstrated to both the Syrian government and the rebels that cross-border attacks on Israeli territory would not be tolerated. The response, artillery targeting the source of the fire in Syria, marked the first time the IDF fired into Syrian territory since the end of 1973 Yom Kippur War. In February 2013, after a few months of relative calm, a Syrian army tank shell – believed to have been an errant shot during a battle between government forces and rebels – landed near the northern Israeli town of Alonei Habashan. It was defused without any Israeli injuries. One of Israel’s concerns even before the civil war began is the transfer of Syrian and Iranian weapons to Hezbollah fighters in Lebanon for use against Israel. In October 2013, al-Arabiya confirmed that Israel struck two targets within Syria to destroy air defense and surface-to-air missiles that Assad may have been trying to transfer to Hezbollah. Israel also struck near Damascus and destroyed SA-8 surface-to-air missiles that were destined for Hezbollah. Israel has repeatedly launched similar attacks on convoys and suspected weapons depots. Attacks on the Israel-Syria border increased in number during 2014 and 2015. In March 2014, an explosive device was detonated along Israel’s border with Syria, injuring four IDF soldiers. Israeli Prime Minister Benjamin Netanyahu blamed the Syrian military for abetting the attack. In response, the IDF struck military targets in southern Syria with artillery and air strikes. On September 23, 2014, Israel shot down a Syrian MiG-21 fighter jet in Israeli airspace over the Golan Heights with a patriot missile. On April 25, 2015, four terrorists were spotted by Israeli security services as they attempted to set up explosive devices on the Syria-Israel border fence. An airstrike was called in and all four were killed. Israel’s freedom of action in Syria was complicated by the increasing involvement of Russia on the side of Assad in 2015. Israel kept an open line of communication with the Russians to ensure neither side would fire on the other’s aircraft. A tacit agreement was reached that Russia would not interfere in Israeli military operations against Islamic rebels, Hezbollah or Iranian troops so long as they did not target Syrian forces. Following several strikes carried out by Israel on a Hezbollah weapons smuggling convoy in Syria during March 2017, the Syrian military announced that any further strikes by Israel would result in Syrian missiles being launched without warning at Israel. Undeterred, Israel struck again on April 26, 2017, destroying a Hezbollah-operated supply hub near the Damascus Airport. Regular shipments of weapons were sent from Iran to Hezbollah militants through the supply depot. Tensions were heightened the next day when Israel shot down a Syrian drone that crossed into Israeli airspace. Spillover fire from battles between rebels and Syrian government forces struck Israel during the weekend of June 23, 2017. The IDF retaliated by carrying out multiple strikes against targets in Syria, including Syrian army artillery positions and ammunitions trucks. Three Syrian soldiers were killed in these strikes. On September 7, 2017, the Israeli Air Force (IAF) carried out a strike on a weapons factory in the Syrian town of Masyaf. The factory was known to produce advanced ballistic missiles as well as barrel bombs and chemical weapons. A Syrian anti-aircraft missile fired on Israeli jets patrolling Lebanese airspace in mid-October 2017 provoked the IAF to bomb the launch-site in retaliation. During a visit to Israel in the second week of October 2017, Russian Defense Minister Sergei Shoigu agreed to expand a buffer zone between Syria and Israel where Iranian and Hezbollah forces were barred. Originally Israel had requested the Russians expand the buffer zone by 25 miles, but officials agreed to an expansion of 6-10 miles. 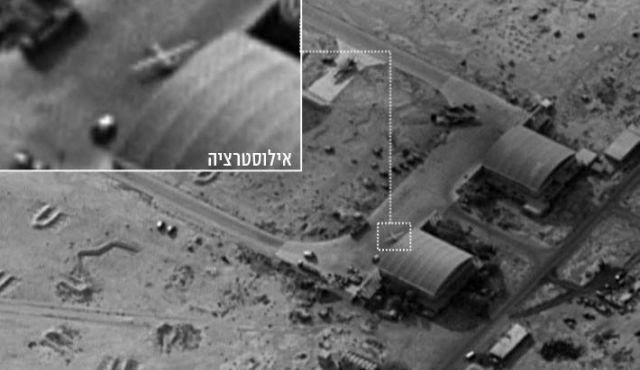 Israel continued to strike targets in Syria, but most of the spillover was contained. On February 10, 2018, however, an Iranian drone launched from Syria was shot down over Israeli territory. Four Israeli F-16 fighter jets bombed the Iranian-controlled launch caravan in Syria less than an hour later; the first ever Israeli strike on a site where Iranian forces were present. The threat of a more serious confrontation with forces in Syria grew as various armed groups, including those back by Iran, moved closer to the border with Israel. The IDF subsequently created the Golan Division to provide real-time surveillance of activities inside Syria and along the border. Israelis were further alarmed when it was reported on June 25, 2018, that Syrian forces took control of a post abandoned by the United Nations Disengagement Observer Force (UNDOF) in the no-man’s land between the Israeli and Syrian areas of the Golan Heights. No Israeli or Syrian troops are allowed in the area according to the separation of forces agreement between the two countries signed after the 1973 Yom Kippur War. Tensions escalated again when Israel shot down a Syrian warplane in Israeli airspace on July 24, 2018. Less than two weeks later, seven ISIS militants on the Syrian side of the border were killed trying to cross into Israel with grenades, rifles and suicide vests. UN officials said in June 2007 the Iranians were preparing to transfer medium-range Shahab-3, Russian-made Scud-C missiles and Scud-B missiles to Syria in preparation for military action if it was attacked over its nuclear program. Syria had already received, via Iran, hundreds of extended-range North Korean Scud-C missiles, and reportedly was building its own ballistic missiles from imported technology. North Korea has supplied complete Scuds and production equipment to Syria in addition to helping the Syrians develop their own missile program. Over the objections of Israel and the United States, Russia announced plans in early 2005 to sell Syria advanced SA-18 anti-aircraft missiles. Russian President Vladimir Putin told Prime Minister Ariel Sharon that the weapons were not shoulder-missiles favored by the terror organizations, but rather they would be mounted on vehicles, and therefore they would not endanger Israel. Putin also said Syria’s placement of the missiles would be designed to avoid a change in the balance of power in the area, but would prevent Israeli war planes from being able to fly over Syrian President Assad’s presidential palace in Damascus. Israeli defense officials still expressed concern that the mounted version could be modified into a shoulder-held version in a relatively simple process. From that point, the officials said, the missiles could easily reach insurgents in Iran or Hezbollah operatives in Lebanon. In March 2014, the Israeli Navy seized the Klos-C ship off the coast of Sudan. The ship’s weapons cargo included 40 Syrian-made M-302 rockets that the IDF said were flown from Syria to Iran before they were loaded onto the Panamanian-flagged ship in an Iranian port. This major weapons seizure highlighted the close ties between Syria and Iran in rocket research, development and production, as well as Syria’s successful expansion of its arsenal’s reach. As Iran became more involved in the Syrian civil war, Israel became increasingly concerned the Iranians would establish bases in Syria and deploy troops along the Golan Heights. This would put Israel’s foremost enemy within easy striking range of the Jewish state. Israeli officials made clear this would be intolerable. To prove their seriousness, an Iranian military outpost in al-Qiswawas hit by an Israeli missile strike in December 2017. The base was not yet fully operational, and no injuries were reported. On February 10, 2018, Israel shot down an armed Iranian drone after it crossed the border. Israel subsequently attacked the base in Syria from which the drone was launched. On April 9, 2018, Israel launched an airstrike against the T4 military base near the desert town of Palmyra that coordinates Iranian-backed militias, killing four Iranian military advisers. Iranian forces in Syria launched a barrage of 20 rockets at Israel on May 8, 2018, following President Trump’s decision to withdraw the U.S. from the Iranian Nuclear deal (JCPOA). Some of the rockets were intercepted by Israel’s Iron Dome missile defense system, and some landed in Syrian territory. No significant damage or injuries were reported. In retaliation, Israeli warplanes struck dozens of Iranian installations, effectively destroying nearly all of the Iranian military infrastructure in Syria and killing 23 Iranians. This was the largest IAF operation in decades. Subsequently, rebels reported that Hezbollah fighters and other Iranian-backed forces were disguising themselves as Syrian soldiers to avoid detection and attacks by Israel. Israeli Prime Minister Benjamin Netanyahu met and called Russian President Vladimir Putin several times in 2018 to discuss Israel’s objection to Iran’s presence in Syria. At a minimum, Israel hoped to convince Moscow to prevent Iranian-backed forces from establishing a foothold near Israel’s border with Syria. Following their meeting in July 2018, Putin reportedly agreed to keep Iranian forces 65 kilometers away from the Israeli border, but would not push them entirely out of the country as Netanyahu requested. Israel rejected the offer, insisting that all Iranian forces be removed from Syria. Iran said on August 27, 2018, that it had agreed to a deal to deepen military cooperation with Syria, reaffirming its intention to remain in the country despite efforts by the U.S. and its allies to persuade Russia to force Iranian troops to leave the country (Wall Street Journal, August 27, 2018). The Meir Amit Intelligence and Terrorism Information Center said a Syrian opposition website reported that Iran began the construction of a military base in the Lajat region in Daraa governorate, intended to serve pro-Iranian militias in the region. According to the report, the construction work is carried out by fighters of Hezbollah and the Iraqi militia Asaeb al-Haqq, while the IRGC oversees the transfer of materiel to the militias in the area. Iran has spent approximately $17 billion on the Syrian war. In November 2018, it was reported that 10,000 Iranian-trained Syrian soldiers were posted on Israel’s border. On January 20, 2019, following an Israeli attack on Iranian weapons storage sites near Damascus airport, Iran fired a missile into Israel from an area where Israel had been told there would be no Iranian forces. The missile was intercepted by Iron Dome. Israel retaliated by striking Iranian and Syrian military targets, air defense batteries and Quds Forces positions throughout Syria the following morning. The Wall Street Journal reported in March 2019 that “Tehran is moving to cement its long-term influence in Syria by cultivating goodwill and winning converts to the Shiite Muslim sect.” Iran’s Islamic Revolutionary Guard Corps (IRGC) is targeting areas where it seeks to establish a land bridge between Iran and Lebanon. The IRGC, for example, distributes food and household items to needy Syrians in war-torn areas previously controlled by ISIS. Residents are offered $200 a month and an ID that allows them to pass through checkpoints if they join the IRGC and convert to the Shiism. They also have opportunities to get scholarships to study, to take religious classes and to find jobs. “Iran’s hearts-and-minds campaign undermines efforts by the U.S., Israel and Arab states to roll back Tehran’s influence and force it out of Syria,” the Journal noted. Syria harbors in Damascus representatives of ten Palestinian terrorist organizations, including Hamas, Islamic Jihad, the Democratic Front for the Liberation of Palestine (DFLP), and the Popular Front for the Liberation of Palestine. These groups have been responsible for terrible attacks against innocent Israeli citizens, which have resulted in hundreds of deaths. Syria also supports Hezbollah. For more than 30 years, Lebanon was essentially controlled by Syria. With Syrian acquiescence, Lebanon became the home to a number of the most radical and violent Islamic organizations. Hezbollah in particular, has been used by the Syrians as a proxy to fight Israel. On October 19, 2004, the UN Security Council demanded that Syria abide by a resolution calling on Damascus to withdraw its 14,000 troops from Lebanon, dismantle the Hezbollah organization and respect Lebanon’s independence. Buoyed by the UN intervention, the opposition in Lebanon grew more vocal in demanding an end to Syrian hegemony. After former Lebanese Prime Minister Rafik Hariri was assassinated on February 14, 2005, the pressure on Syria intensified and its troops were finally withdrawn in April. Nevertheless, Syria continues to exercise great influence in Lebanon. Syria and its allies are believed responsible for a series of assassinations to undermine Lebanese democracy that have eliminated anti-Syrian members of the Lebanese parliament. Syria supplied Hezbollah with weapons used in the war fought with Israel in July 2006 and has been resupplying the organization in defiance of the UN since the war ended. In April 2010, the U.S. and Israel accused Syria of delivering shipments of long-range Scud missiles to Hezbollah in Lebanon. The Scuds have a range of more than 435 miles – placing Jerusalem, Tel Aviv and Israel’s nuclear installations at risk. Smuggling of weapons from Syria to Lebanon has continued throughout the Syrian civil war. In March 2019, the IDF announced, “The Hezbollah terrorist organization has begun an attempt to establish and entrench a covert force in the Syrian Golan Heights that is designed to act against Israel when given the order. The network, called “The Golan File,” is stockpiling weapons, recruiting members and building secret military infrastructure, according to the IDF. The network is headed by Ali Mussa Daqduq, who was imprisoned by American forces after an operation he commanded led to the kidnapping and execution of five American soldiers. An Iraqi court cleared him of the charges, citing a lack of evidence. Despite the threat of aggression from the Syrian side of the border, Israel has been engaged in humanitarian efforts to assist the Syrian people. The Israeli military initiated “Operation Good Neighbor” in 2016 to provide food, equipment and medical supplies to 250,000 Syrians. Israel also set up the “Mazor Ladach” medical clinic near the border to offer care to injured Syrian civilians. Approximately 6,800 Syrians, including more than 1,000 children, were allowed to cross the border for treatment before the clinic was closed in August 2018 with the return of Assad’s forces to the border area.. The fighting in June 2018 forced 45,000 refugees to flee regime forces. Some congregated near the border with Israel along the Golan Heights. The IDF said it would not allow Syrians to enter Israel, but would continue to provide them humanitarian assistance, including tents, food, clothing, medical equipment and medicine. In mid-July 2018, Israeli forces facilitated the escape from Syria of hundreds of rescue workers and their families with the White Helmets Syrian Civil Defense organization. The White Helmets are volunteer rescue workers who respond immediately to war zones to provide medical assistance, often putting themselves in great danger. The threat increased as Assad’s forces gained control of more of the country. At the request of U.S. and European leaders, the Israeli military evacuated 422 individuals affiliated with the White Helmets through Israel and into Jordan. At least 700 Palestinians have been killed in the fighting in Syria. Israel offered to allow Palestinians living in Syria to go to the West Bank; however, Palestinian Authority President Mahmoud Abbas rejected the offer. In 2019, Israel publicly acknowledged for the first time that it had provided weaponry to Syrian rebel groups in the Golan Heights during civil war. Previously, Israel had only said it had provided humanitarian aid. Eisenkot also acknowledged that the IDF carried out hundreds of raids in Syria and dropped 2,000 bombs on Iranian targets in 2018 alone. “We carried out thousands of attacks [in recent years] without taking responsibility and without asking for credit,” the army chief told the Sunday Times. In September 2018, Foreign Policy reported that Israel began covertly providing arms and funds to at least 12 Syrian rebel groups in 2013 to prevent Iran-backed forces and Islamic State jihadists from establishing positions near the Golan Heights. Israel supplied assault rifles, machine guns, mortar launchers, ammunition and vehicles. Israel also paid rebel fighters about $75 a month and provided money for them to buy arms on the Syrian black market. Raja Abdulrahim and Benoit Faucon, “Iran Moves to Cement Its Influence in Syria,” Wall Street Journal, (March 26, 2019). Maps: The Jewish Connection, Washington Institute (November 1, 2011), Council on Foreign Relations, (November 1, 2011).